Recently, I was lucky enough to be able to borrow a replica strait-jacket, which visitors to the Grant Museum were only too eager to try on, offering an interesting point of departure for conversations on freedom and constraint within a mental health context. The backdrop of the Grant Museum itself offered a striking way of representing a comparison often made in histories of psychiatry: as Andrew Scull puts it, “the madman in confinement was treated no better than a beast; for that was precisely what, according to the prevailing paradigm of insanity, he was.” Scull was talking about the 17th and 18th centuries in particular – for him, the introduction of moral treatment (an approach focused on providing a restful environment and work and occupational opportunities for asylum inmates) around 1800 encouraged a shift in understandings of the mentally afflicted. From being viewed as animals, requiring control and confinement, they were re-classified as children, who might be educated. This idea of a clear shift is overly simplistic, failing to take into account, for example, changing ideas of education, child-rearing or cruelty to animals. Indeed, Patricia Allderidge has criticised the use of cases of restraint to support this argument. 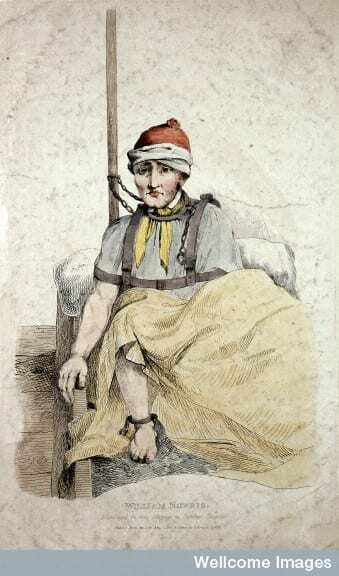 The dehumanising nature of restraint is often supported by reference to cases like that of James Norris, an American marine who was admitted to Bethlem in 1800. From 1804, Norris lived in an iron harness which had been specially made for him, and is pictured below. The effects of a severe head injury made Norris violent and dangerous, and all other methods of controlling his behaviour had apparently failed, resulting in serious injuries to staff and other patients. This type of restraint was thus extremely unusual, and cannot be used to make general points about contemporary ideas of insanity. What’s more, there are other suggestions that Norris was not necessarily confined because he was considered to be “a beast”: as Allderidge notes, the least-quoted aspect of Norris’ life at Bethlem is that “he occupied himself … by reading the books and newspapers which were given to him, and amusing himself with his pet cat”. In popular lore, the history of asylums is frequently presented as closely associated with mechanical restraint. 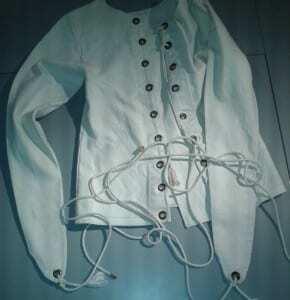 Few people, for example, are aware of the “non-restraint” movement in England and Wales, which saw all restraining garments, straps or chains disappear from the vast majority of asylums for a half-century, from 1840. This rather complicates the widespread assumption that social or medical change must necessarily be progressive: if one encounters a strait-jacket in a museum collection, for example, it is much more likely to be a twentieth century garment than a Victorian one. This idea can be disturbing for those who like to imagine a humane present contrasted with a brutal past. The arguments used during the non-restraint debates indicate that this topic was also much more complex than ideas of progress allow for. Those who were wary of adopting a blanket policy of non-restraint argued that other measures of coercion were simply being substituted, including physical handling by staff, the use of locked rooms and padded cells, and “chemical restraint” by drugs (all issues, along with legal constraints, which remain concerns in psychiatry today). Indeed, one of the most disturbing cases that I came across in my asylum research was well within the non-restraint period. In 1865, Henry Wright, a middle-aged clerk, was admitted to Bethlem after severely wounding himself by cutting his own throat. While in hospital, Henry made repeated efforts to tear open his wound, so that, a month after admission, it was noted that “[i]t is not safe to leave hold of his hands for an instant. He is looking ill and sedatives have very little effect on him.” For much of his time at Bethlem, Henry was accompanied everywhere by two attendants, who ceaselessly kept hold of his hands, severely limiting his movements. This was not considered to be restraint: nor did it help Henry, who made his last recorded suicide attempt a year after admission, following which he was discharged uncured. Sad cases like Henry’s remind us that the assumption that restraints are necessarily dehumanising can actually perpetuate the associations between madman and beast suggested by Andrew Scull. While strait-jackets are often assumed to be cruel, they also tend to be judged as evidence of the wearer’s problematic nature. When restraints appear in film or TV, they tend to be used to signify potential danger to others: as Henry’s case indicates, most people who wore such clothing were considered dangerous only to themselves. Even those who were thought to be a danger to others, like James Norris, do not necessarily fit the stereotype of the “raving lunatic”, and were able to carry out intellectual pursuits while confined. An excellent exhibition at Guy’s Hospital by artist Jane Fradgley (Held, on until 8 March 2013), offers a much more nuanced perspective on so-called “strong clothing”, suggesting that it can in some cases be protective, as well as restrictive. For people like Henry and James, restraint of some kind was inevitable: whether this was in the extreme form suffered by the latter, or the sedatives and physical holding used to try and prevent the former from severely injuring himself. Art in History: A Representation of Reality or Political Tool? During the recent One Day in the City exhibition in the Art Museum, I had an interesting conversation with a couple of visitors who had popped in during the Marxism 2012 conference held elsewhere onsite. The exhibition took a variety of images depicting certain aspects of London over time, often raising questions about the relationship between representation and reality: for example, an etching showing the city as if viewed from a non-existent hill. Prior to aeroplanes, helicopters and even hot air balloons, the artist could not possibly have seen the city from such an angle. Yet they imagined what such a view might have looked like, and faithfully drew their idea of the reality. Wenceslaus Hollar (1607-1677) – London Panorama. UCL Art Museum. By situating such images in the past, we often assume that we are seeing uncomplicated depictions of reality: what life was really like in London a hundred, two hundred, or three hundred years ago. Yet representations of London life are just that: representative of a particular individual – and, most often, social or political – point of view. When we look at historical prints as objects, stripped of their context – and even their creators – we run the risk of misinterpreting them altogether. “Do you think?” one of the visitors mentioned above asked, “that time often causes us to dilute, or even lose altogether, the political message of historical images?” This conversation encouraged all of us to view the exhibition in a slightly different manner, looking beyond what we could recognise of “our” London (buildings, geographical landmarks or institutions) to see London as a place teeming with people who were, genuinely, historical actors: people who held diverse beliefs, opinions and ideas just as we do. In particular, we discussed some of the etchings by William Hogarth displayed in the exhibition. It is well known today, of course, that Hogarth (1697-1764) was a satirist and social critic. His works often run in a series, charting the course of particular ways of life that he wished to critique: on display in the museum was Industry and Idleness: other examples included Marriage à la Mode and A Rake’s Progress. Despite acknowledging the critical nature of Hogarth’s work, and the strong use of symbolism within his images, scenes of London life are nonetheless often assumed to be just that: a clear representation of what life was actually like in the city during Hogarth’s life. Nowhere does this occur more frequently than in relation to the final scene in A Rake’s Progress, in which Tom Rakewell’s profligate life has seen him admitted to the “madhouse”: the Bethlem Royal Hospital (or Bedlam, as it was commonly known). Hogarth: A Rake’s Progress (1735). Wellcome Library, London. 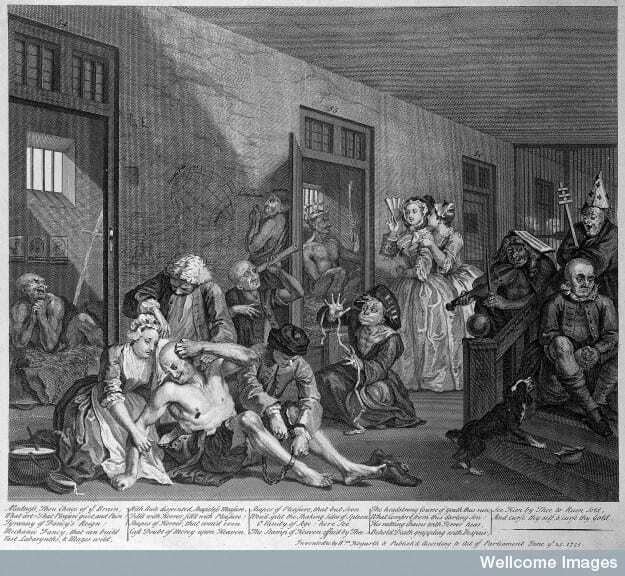 Hogarth’s image of “Bedlam” is often used in histories as an illustration of the eighteenth-century asylum, suggesting that various elements of the work indicate what the asylum was “really” like at the time. In particular, the well-dressed lady visitors are used to highlight the existence of public visiting in this period, a regular practice until 1770. Like most hospitals in this period, Bethlem was a charitable institution and thus was maintained by donations, which were requested from all visitors. Yet Hogarth’s image is a satire: while Rakewell’s fellow patients can be viewed in relation to diagnoses of the day (such as religious delusion, love melancholy and delusions of grandeur), they can equally be seen to satirise the state of contemporary institutions – the Church, the monarchy, and scientific endeavour. By viewing Hogarth’s image merely as a representation of the Hospital itself, we risk missing the fact that he also has plenty to say about society outside the Hospital. As in drama, literature and poetry, representations of Bethlem in art frequently aim to hold a mirror up to society, rather than to represent the realities of mental health experience and treatment. The current exhibition in the Petrie Museum, Fit Bodies, often gives me a chance to reflect, with visitors, on what a “fit body” actually is. When we describe a body as being fit, we are often saying as much about what it is not, as describing what it is: the fit body always implies the existence of its opposite, the unfit body. Such concerns have often served social and political ends – the recent Petrie exhibition, Typecast, on late nineteenth-century eugenics, being a case in point – making it vitally important for us to acknowledge the ways in which the judgment of “fitness” acts as a process of normalisation. Historically, we often view past cultures through their art or religious iconography, extrapolating from this what life was “really” like in the past: I’ll return to this idea in more detail in a future post. 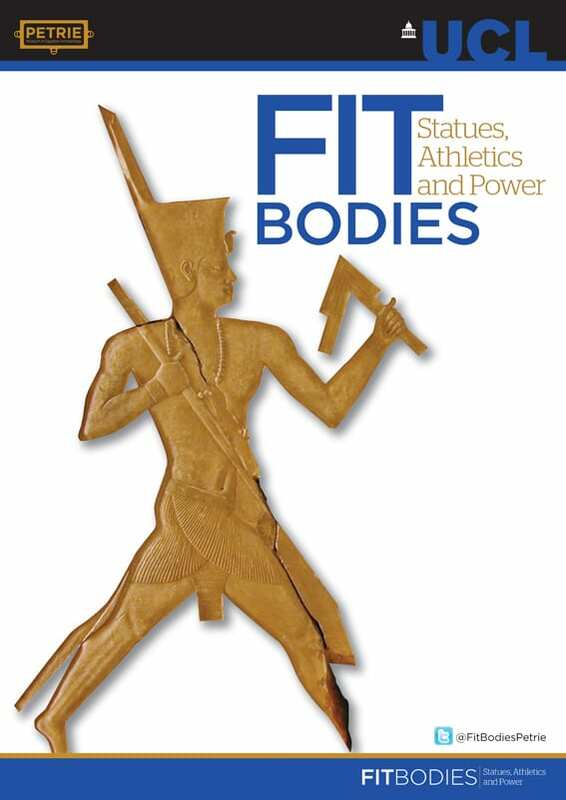 An example related to Fit Bodies would be the associations we make between Ancient Greece and athleticism. However, as one of the Petrie staff recently pointed out to me, the prevalence of war and the large number of youths who did military service in Ancient Greece meant that physical disability or scarring was not uncommon. Indeed, he notes, depictions of disability are relatively common in Greek imagery. Perhaps we often miss this because we assume that Greek culture idealised the “perfect” body and, in that sense, the depiction of Ancient Greece as a society obsessed with athleticism may say as much about our own culture as theirs. In my own research, I am particularly interested in “damaged” bodies. Like the fit body, the damaged body is not a fixed and obvious entity, but a concept that changes depending on cultural mores and political concerns. I run a seminar series, which encourages debate around various incarnations of the damaged body in various eras: http://damagingthebody.org. Some of the ideas raised may be very familiar to us today’ others are completely alien to our own concepts of damage and fitness, which I hope serves to remind us of how fragile these concepts often are. My thesis focuses on the idea of self-inflicted injury in the late 1800s, an even more complicated concept than damage in general. 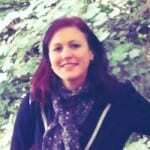 When and how do we decide that damage has been self-inflicted? Is a feat of endurance to be understood as self-inflicted injury? Or taking part in a reckless endeavour? Neglect of health? Or even attempts at self-treatment? The last of these is particularly interesting from a nineteenth-century perspective. Ideas of “self-harm” (particularly associated with self-inflicted cut wounds) are widespread today: so much so, that one teenage museum visitor referred to the mechanical leech as “self-harm in a box”. However, for the most of the population in the 1800s, bloodletting was an important means of restoring physical health. This makes it very difficult to judge the words of nineteenth-century actors by our own standards. 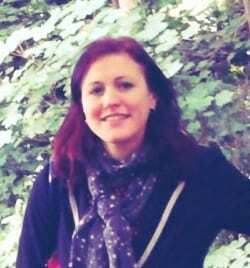 Today, self-harm tends to be described as a means of externalising emotional pain, or replacing it with physical pain that is considered easier to manage; the relation of self-injury to emotional or mental suffering is thus invariably emphasised. If we choose to, we can read the words of nineteenth-century individuals in this way. When asylum patients are reported as having bled themselves to relieve distress, or pressure in their heads, we assume that they are describing self-harm as we know it, proving this to have universal meaning. In my view, this would be erroneous. The ideas behind bloodletting as a practice – and nineteenth-century concepts of mental illness itself – make it much more likely that this bleeding was intended as a physical remedy, intended to cure a physical illness (believed to be located in lesions of the brain or nerves). Self-inflicted wounds were not understood to “damage” these people’s bodies, but were instead a legitimate therapeutic practice, intended to restore fitness. Recognising a “fit” or “damaged” body, then, depends greatly on our own cultural and political perspectives, which are invariably shaped by our historical and geographical contexts. Buried on Campus: When Are Remains Human? 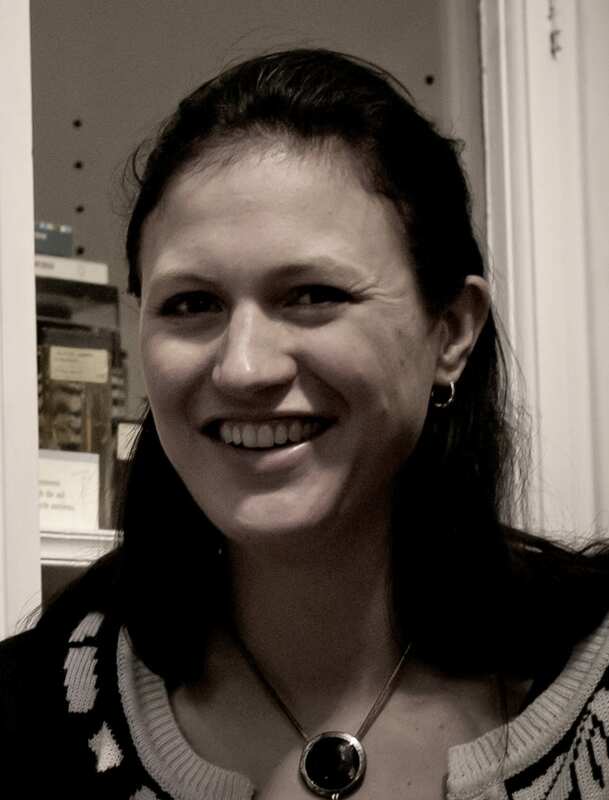 Katie’s recent post on the ethics of displaying human remains in museums, along with the recent Grant Museum exhibition on the topic, raised some important questions about collection and display. 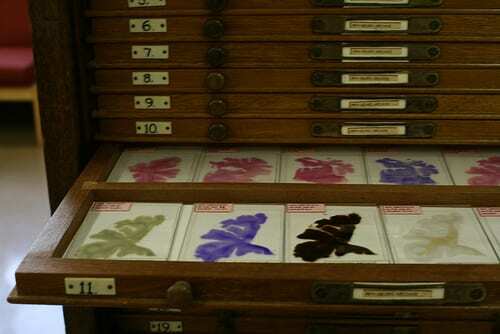 Unsurprisingly, this is a frequent topic of concern in medical museums – particularly in hospital museums, teaching collections tend to focus around anatomy and pathology, a large part of which consists of specimens of human remains. But what exactly constitutes “human remains”? This is, on occasion, a surprisingly difficult question to answer. 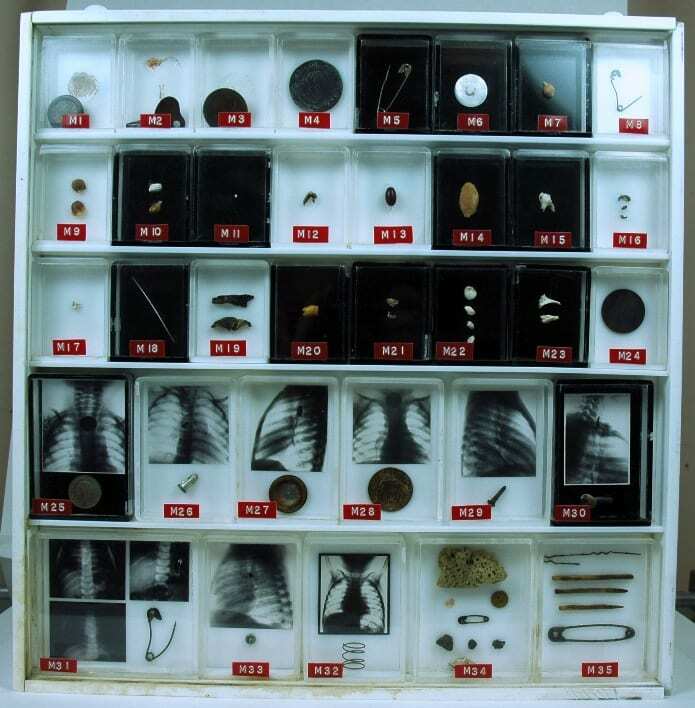 Many medical collections were created in the eighteenth and nineteenth centuries, as anatomy schools grew and increasingly began to offer practical training for medical students, alongside lectures. One such fascinating collection can be found at Benjamin Franklin House, in Craven Street near Charing Cross. An ordinary Georgian townhouse, which was home to American Founding Father Benjamin Franklin for nearly sixteen years, the building also housed a private anatomy school. The school was run by the landlady’s son-in-law, William Hewson; who had previously worked with the well known anatomist William Hunter. Hewson sadly died young, of septicaemia contracted during a dissection, but the remains of his school were uncovered during the restoration of the house in recent years, in a pit where the back yard would have been. It is not unusual for bones to be unearthed when foundations are laid for new buildings in London, something explored not so long ago in an exhibition at the Wellcome Collection, London’s Dead. These skeletal remains are what first springs to mind when we think about human tissue. It is skeletons that we often expect to see in museums; the absence of flesh suggests age and the process of decay. How long, though, do we continue to regard these skeletons as the remains of our loved ones? Cemeteries, for example, tend to offer burial plots for periods of only around fifty or sixty years. By this time, the body will have decomposed, and the land can legally be re-used. In Sheffield, part of the former city cemetery has been turned into a park. In London, memorial grounds are built over all the time. Once people have faded from memory, it seems that their remains do too. 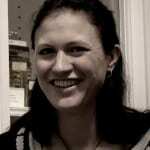 But what other human remains do we find in medical collections? Many of the specimens are dissections of various sizes and complexity. It seems obvious which of these are tissue and which not, but even here the recent Human Tissue Act has struggled to define humanity. We might assume that any part of our physical form constitutes human tissue but, legally speaking, this is not the case. 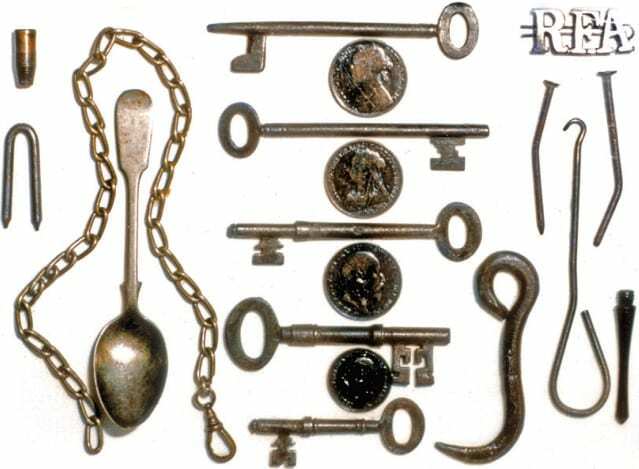 Body parts that regularly grow and are removed, for example, are something of a grey area; for example, locks of hair, often kept as mementos of a loved one, can legally be kept or displayed by any museum. But what about blood? The status here is uncertain. On the other hand, a tumour which has been surgically removed is considered human tissue, despite the fact that the person operated on may well have considered it to be alien to their own person. Stained Brain Specimens in the UCL Pathology Collection. Courtesy of Bethlam Heritage. 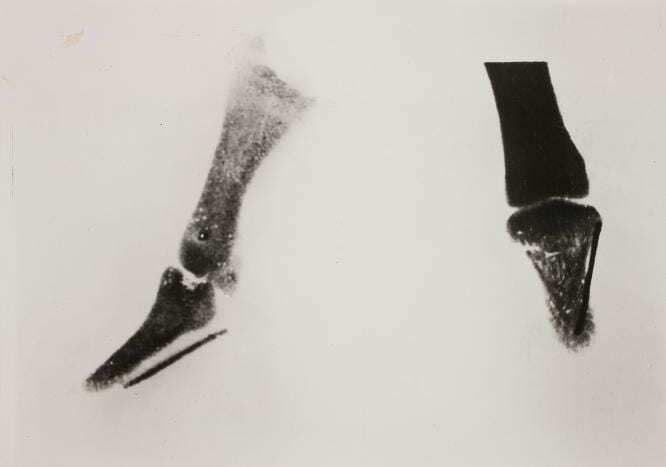 One of the things that intrigues me most, however, is the place of foreign bodies in medical collections. Foreign bodies are objects that have been swallowed, inhaled or otherwise inserted into the human body. 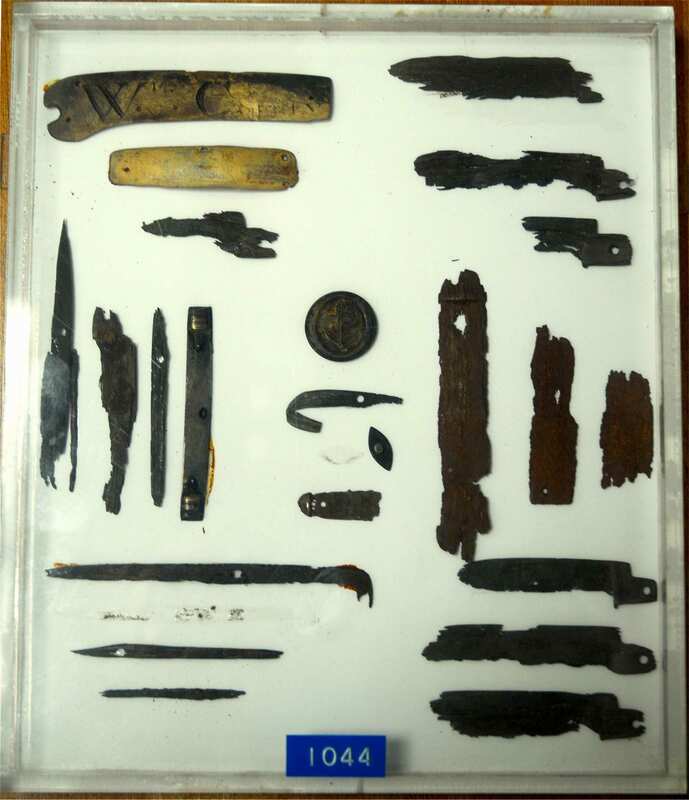 Often, particularly when these items end up in the bladder, the body creates deposits around these objects, protecting organs from sharp edges or corrosive material. 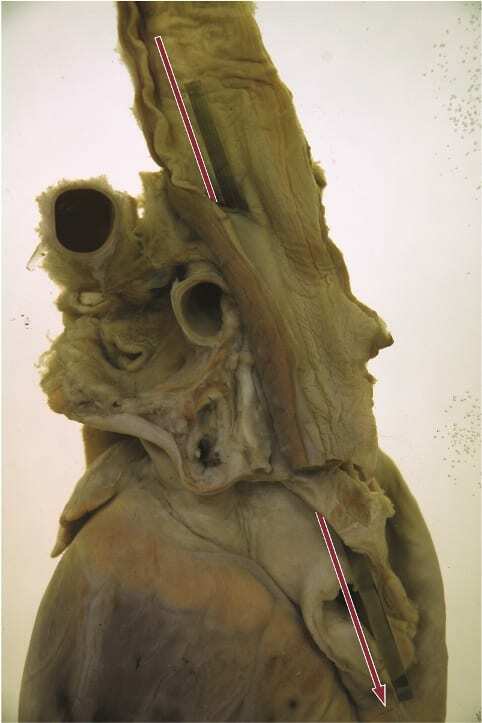 When removed, the foreign body may be invisible within layers of mineral coating. 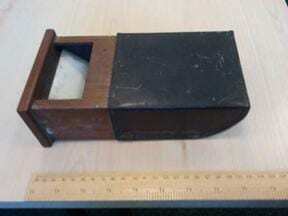 These objects are faintly mysterious: created by the human body, they are nonetheless not considered to be human at all. They lie beyond the regulations on human tissue, but could not have come into existence in the first place without having had a relationship with that tissue. So wrote a newspaper reporter in the Dumfries Herald in 1881, when commenting approvingly on the therapeutic environment of the Crichton Royal Institution and Southern Counties Asylum in Dumfries. 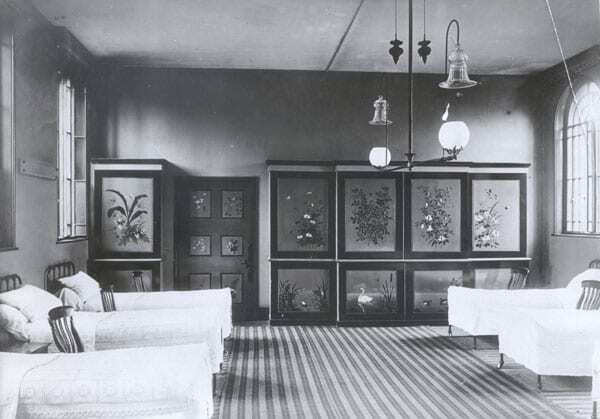 Like many other psychiatric hospitals of the period, the galleries of this institution were indeed heavily decorated. Domestic furnishings, pictures, birdcages, plants and drapes were all intended to contribute to a domestic appearance, thought to be both comforting and morally and spiritually uplifting. Indeed, the domestic environment of the asylum was often interpreted as directly curative. The annual reports of many asylum medical superintendents frequently focused on improvements to facilities, with very little information that we might regard as directly medical, such as physical and pharmaceutical intervention. But what pictures were displayed? Art was often donated by benefactors, meaning there was little choice as to what could actually be shown in the Hospital. Sometimes this might lead to what seem, today, to be surprising displays. Art historian Nicholas Tromans has identified one of the pictures in images of wards at the Bethlem Royal Hospital as an engraving after Landseer’s Otter Hunt. As he points out, today the work is considered too distressing to exhibit, making it seem a picture that we might not imagine to have had a particularly calming or uplifting influence on patients! Another hunting image in Landseer’s work, from the collections of the UCL Art Museum, is shown below. On other occasions, art might be commissioned by the governors of a Hospital. The theatre at the exclusive Normansfield Hospital, set up by John Langdon Down in 1868 for young people with learning disabilities, was partially painted by Marianne North. The walls are also adorned with sets from Gilbert and Sullivan’s Ruddigore at the Savoy Theatre, presumably bought at auction in the early 1890s. 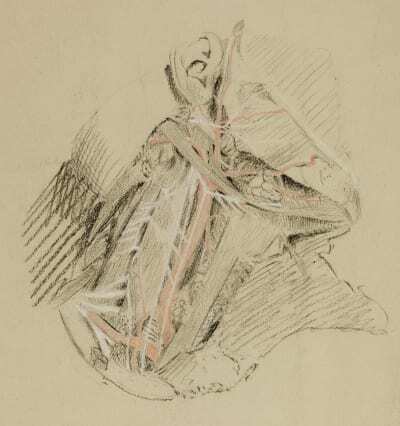 Doctors also often regarded themselves as artists. Medical obituaries of the late nineteenth century regularly highlighted the various creative pursuits of psychiatrists, seen as an important indication of their intellectual status as Victorian gentlemen. Participation in musical and dramatic performances was expected of all asylum staff, including the low-paid ward attendants. Indeed, when one attendant walked out of a band practice session at the Crichton Royal Institution in Dumfries in December 1880, he was told by the superintendent to “choose whether to be obedient, contented and loyal or leave the place”. He selected the latter, and left that same evening. 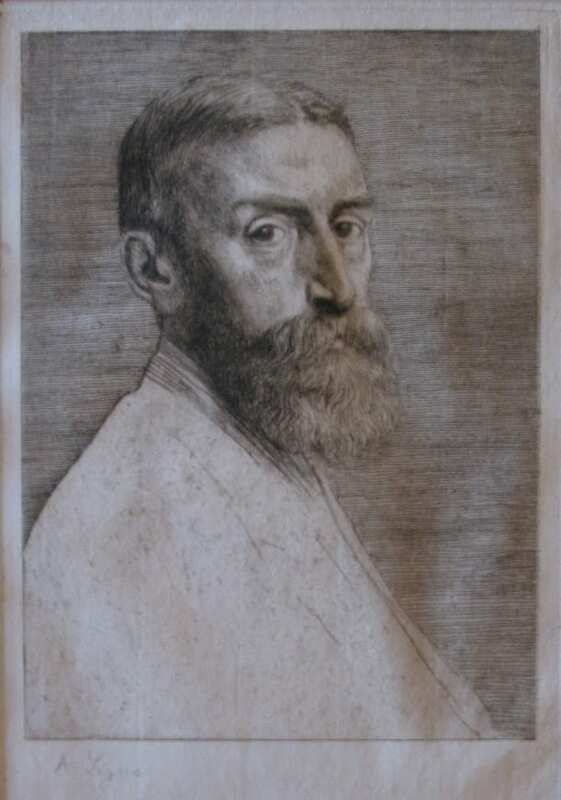 Theo Hyslop, superintendent of Bethlem Royal Hospital from 1898 to 1911, was a keen artist, who exhibited at the Royal Academy and later became a controversial art critic. Hyslop also seems to have encouraged his patients to paint, and organised a public exhibition of some of this art at Bethlem in 1900. Indeed, in many asylums, some of the art on display was certainly created by patients. Sometimes, artists happened to be resident within the institution. Richard Dadd, for example, created most of his famous works while an inmate of Bethlem and, later, Broadmoor. 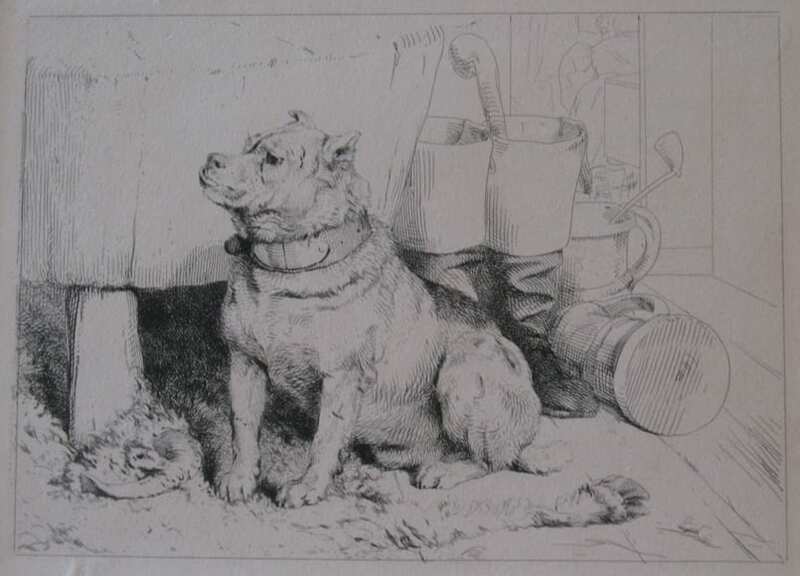 The un-schooled James Henry Pullen, known as the “genius of Earlswood Asylum”, apparently caught the interest of Edwin Landseer, who sent the young man some of his paintings to copy: another connection between Landseer’s work and the asylum. 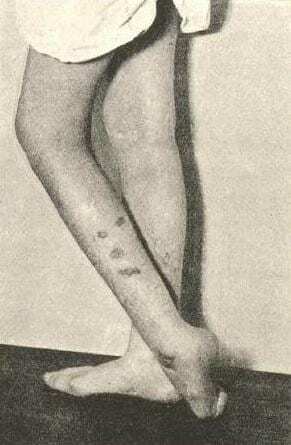 Other patients may have practised decorative work. In 1883, the superintendent of Bethlem reported that “during the past year we have been engaged in painting artistically one of the male infirmaries, and although it has been somewhat difficult to get a sufficient number of the patients occupied, yet, on the whole the result has been satisfactory, we have had not only kindly assistance from ladies, who have no connection with Bethlem, but we have had several patients among the ladies who have developed quite a taste for the work, and next year I hope to carry this decorative work into several of the other wards.” The following year it was recorded that female patients had been engaged in the painting of a dormitory: such decorative work can be seen in the photograph below. As Savage’s words indicate, painting was considered an occupational pursuit: something that would relieve the tedium of asylum life and distract patients from the “morbid introspection” that many doctors blamed for the onset and prolongation of insanity. Imagination and creativity, however, were also considered to be important elements of the human psyche by many asylum practitioners of the period, traits which separated humans from animals and thus aided the “degraded” asylum patient towards mental health. Art in the asylum thus served multiple functions, something that continues to this day through such organisations as the Bethlem Gallery and Museum and the Langdon Down Museum.